‘Extreme uncertainty’ is a Brexit catchphrase that applies fully to the UK’s future trade relationship with developing countries - which includes many Commonwealth member countries - as well as with the remaining EU members. This compilation of essays offers timely and expert commentary on how a new UK trade policy towards the EU and developing countries could be designed and implemented. 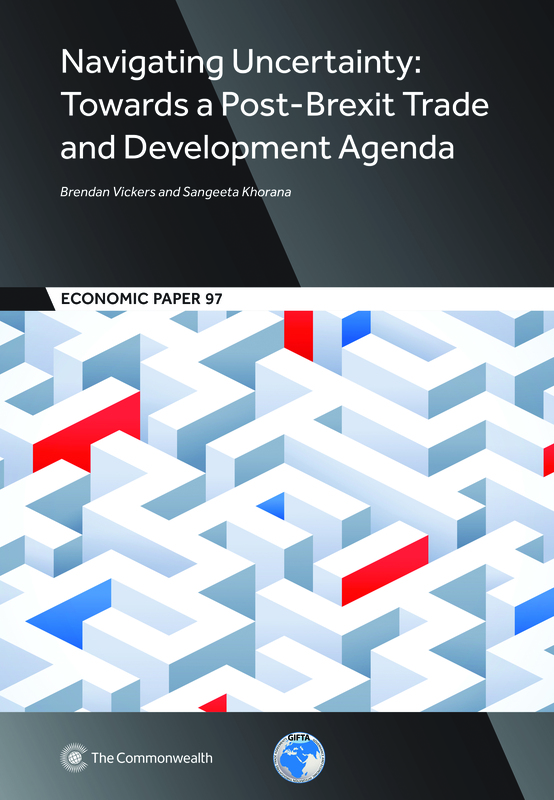 The essays unbundle complex issues and offer a context for the current debate, as well as providing a framework within which to assess and discuss the ongoing negotiations. The collection is based on a workshop held at the Commonwealth Secretariat in London in early 2017, as part of the Economic and Social Research Council-funded project entitled 'Governance and Economic Integration through Free Trade Agreements'. 3.2 Customs union, customs agreement or FTA? 3.3 Prospects for an FTA with the EU: Deep or shallow? 3.5 What would a ‘Trump Atlantic’ trade agreement be like? 5.3 Negotiating FTAs: Prioritising depth or speed? This paper analyses the responsiveness of Commonwealth tourism, remittances and aid to changes in UK macroeconomic indicators, in particular, to UK GDP and the UK exchange rate, using a panel data gravity model approach. It finds a negligible impact from Brexit on these Commonwealth sectors and suggests that all sectors are more responsive to changes in UK income than to changes in the UK exchange rate and that remittances are the most resilient sector of the three. The paper finds that positive externalities from improving the Commonwealth trading relationship could increase financial flows across the respective sectors.